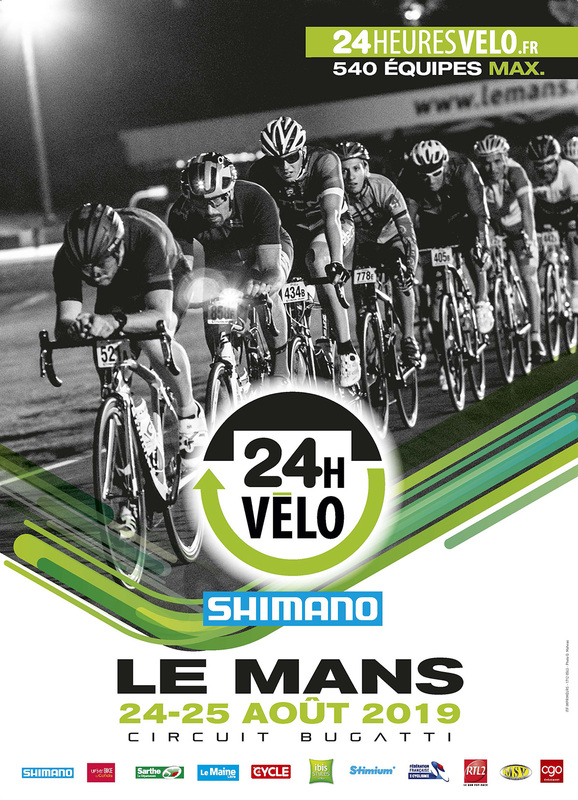 540 is the maximum number of teams that the 11th edition of the Shimano 24 Hours Cycling of Le Mans will host next August 24th and 25th, including 80 single and 40 pairs. We have decided to increase the maximum number allowed with 20 additional teams at the start, which should satisfy the hundred riders who remained on the waiting list last August. Concerned about the quality of reception and attentive to participants ‘comments, we met Automobile Club de l’Ouest managers to consider the possible arrangements on the circuit. In our opinion, the size of the Houx Campsite has reached its limits so we have decided to open an extra space. Another sanitary facilities will be opened in order to meet a recurring request of the riders. To note the return of Shimano France which once again associates its name with the event: “For 10 years, the 24 Hours Cycling have become one of the best French cyclosportives for the originality of its format, but also for the quality of the services offered by the organisation. I am pleased to associate Shimano with such a demanding event for the participants and their equipment, as well as to assist them in achieving this unique team challenge” says Philippe GUILLAUME, brand marketing manager.